Rohit was happy to see that his team improved on the mistakes they made in their record 80-run defeat in the series opener. 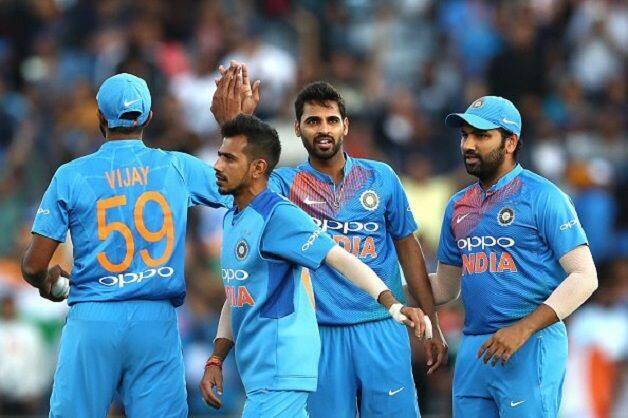 Stand-in captain Rohit Sharma waxed eloquent on his side’s bowling performance after India bounced back from their record 80-run defeat in the series opener to thrash New Zealand by seven wickets in the second of the three-match T20 Internationals in Auckland on Friday. 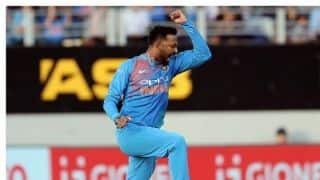 Opting to bat, the Kiwis were reduced to 50/4 in the eighth over with Krunal Pandya picking up three wickets of Colin Munro (12), Daryl Mitchell (1) and skipper Kane Williamson (20). Bhuvneshwar Kumar pocketed the first wicket in Tim Seifert, who top scored with 80 in the first match at Wellington. The series decider will be on Sunday at the Seddon Park in Hamilton. “It’s going to be a cracker of a game in the 3rd T20I, but nothing to take away from New Zealand, they’re still a quality side,” Rohit said.